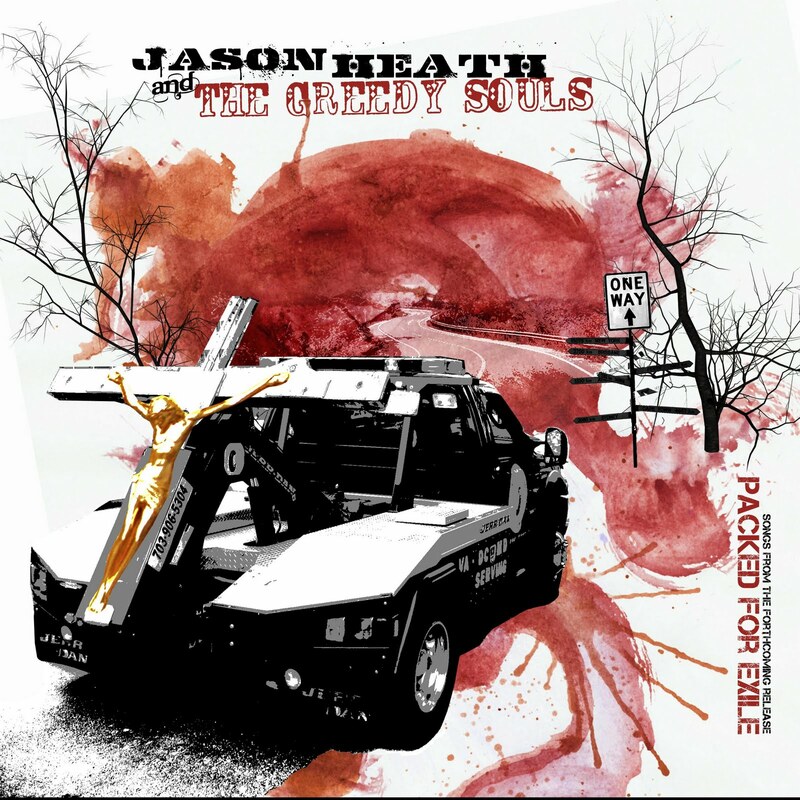 Jason Heath & the Greedy Souls — "A Fighter’s Lullaby"
“Win or lose, you know that you’ve been here before. Keep your eyes fixed up high on the blood above your door. It’s a promise to you that will always be true, the sun is gonna rise. When I first heard this song by the Los Angeles based, Jason Heath & the Greedy Souls I knew they were a special group. The song is called “A Fighter’s Lullaby” and it was written in loving memory of Danny Federici, the accordion player/organist for Bruce Springsteen’s E Street Band. Danny Federici passed away from melanoma in April of 2008. One of the members of Jason Heath & the Greedy Souls is Jason Federici, Danny’s son. Jason, like his father, plays accordion and the organ. Jason Federici helped fund the Danny Fund, whose mission is “to bring melanoma to the forefront of awareness and help fund research with the top melanoma doctors in the world.” The demo of “A Fighter’s Lullaby” has been downloaded over 120,000 times at the Danny Fund website. Jason Heath & the Greedy Souls recently sent a few songs from their upcoming album, Packed for Exile to select triple A radio stations. Even though the album isn’t slated for release until late February, the band is already receiving airplay from stations such as WFUV in NYC, WTMD in Baltimore and the E Street Radio channel on XM/Sirius radio. “A Fighter’s Lullaby” is one of the most significant songs of my life for many reasons. It is not only because I work with the band, but because of the unexpectedly death of my mother, Mary Elizabeth Showalter. My mom passed away in a UVA hospital room on September 13. She was fighting colon cancer for the second time in less than 17 years. When I saw my mom sedated in her bed at UVA, I had hope that she would find a way to beat cancer again. I arrived on a Sunday afternoon and at just after 7am Monday morning, she found eternal peace. Earlier Sunday morning, as I drove to Charlottesville, I listened to Bruce Springsteen’s The Rising. That album is the ultimate in musical redemption. In less than a matter of a day, the title song from The Rising and the epic closing track, “My City of Ruins” went from being songs of hope to songs of sentimentality. A few days later, I decided to utilize the song, “My City of Ruins” in my mother’s viewing before her funeral. Coincidentally or perhaps not coincidentally, Danny Federici plays organ on the track. In one of the last conversations I had with my mom, I played a few demos from Jason Heath & the Greedy Souls. I played her “Ghost in My Home,” “California Wine” and of course, “A Fighter’s Lullaby.” She loved every song. And like so many times before that conversation, her approval meant so much to me. My mom was the epitomy of the term, “fighter.” When she was starting to suffer from symptoms related to the cancer earlier this summer, she apologized for supposedly ruining a trip to Lewisburg, WV. When the doctor informed my mom that she was in fact fighting cancer for the second time, she didn’t shed a tear. She gave cancer everything she had during her first bout with the disease. Even though she was confined to a hospital bed for over two months, she emerged from the battle victorious. Following her return home, she dealt with a hip replacement surgery and various infections. Every time, no matter the obstacle, she won. She was undefeated until Sept 13, even though a doctor told me he wasn’t sure she would make it through the night. Not surprisingly, she did.